Chrysler Financial became a technology leader with an initiative to completely automate the automotive finance (retail and lease) process from credit application through final processing. After delivering on the first phases of automation with electronic credit application entry, decisioning and comprehensive contract data validation, Chrysler wanted to automate the creation of contract documents, provide the ability for customers to sign electronically, and transfer contract documents in electronic form from the dealer to their control. Additionally, they needed the ability to resell the retail and lease contracts, both individually and pooled, without adverse recourse from the secondary market due to the electronic format of the contract. Chrysler determined that eOriginal had best-in-class vaulting, signing and transferable record services that would ensure that their contracts remained legally admissible, enforceable and negotiable. eOriginal is the only technology provider for eContracts securitized in the secondary markets and accepted by rating agencies in the automotive and leasing industries for the fulfillment of the transferable records Authoritative Copy statutory requirements. 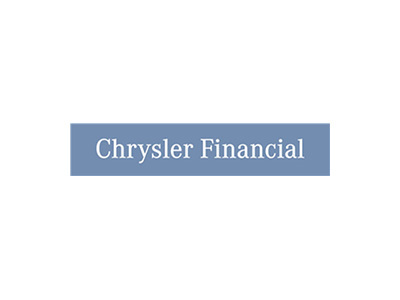 Chrysler Financial successfully implemented eOriginal SmartSign® and eAsset® Management Services to complete its eContracting solution supporting the origination of lease and retail contracts nationwide. Dealers can generate the necessary contract documents, present them for review to the customer, and enable the customer to sign the documents electronically. Additionally, post-signature, the documents and contracts can be electronically transferred from the dealer to Chrysler in one cohesive and end to end solution. eOriginal’s solution gives them ability to find, audit, pool, collateralize, securitize or transfer original contracts 100% electronically. eContracting yielded significant benefits including the elimination of contract errors and the costs associated with addressing them, such as the use of outdated contract documents, documents that were not completely signed by the customer, documents that were not properly assigned by the dealer to Chrysler, and documents that contained nonvalidated information. Chrysler aggressively rolled out eContracting to its dealership base with a realized goal of 35-40% adoption that resulted in 12,000 contracts per month. This entry was posted in Auto Financing, Customer Spotlight, Digital Transactions, eAsset Management and tagged SmartSign.